You’ve just got to love a good comeback story. This one starts with less than five minutes to play in regulation of Friday’s game between Ontario and Iowa. 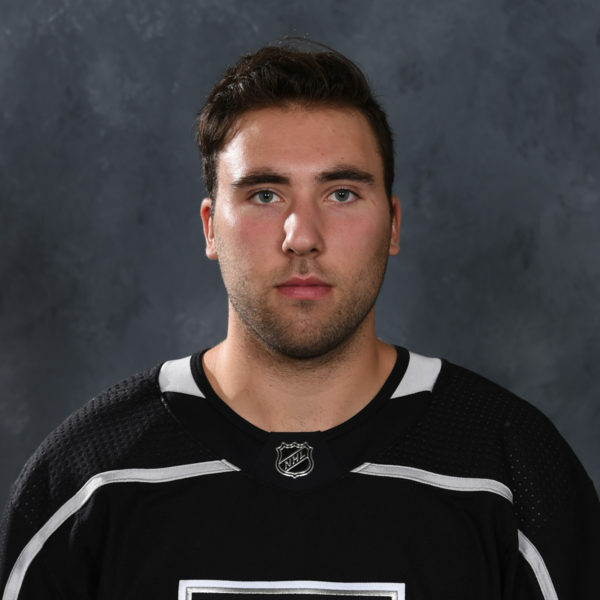 The Reign trailed 4-1, when Iowa forward Michael Liambias was given a five-minute major for a blindside hit on Ontario captain Brett Sutter, putting the Reign on the PP for the rest of the night after the charging call. 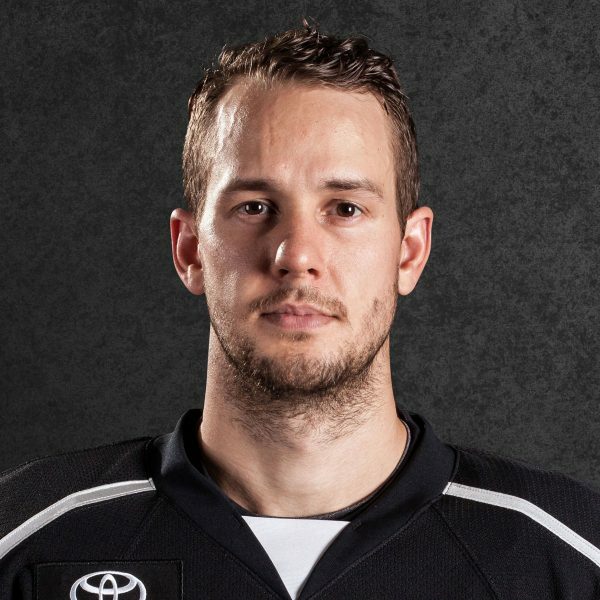 Just over a minute later, forward Zack Mitchell scores the first power-play goal, it’s 4-2. Exactly 100 seconds later, Brett Sutter tallies his second goal and third point of the evening and it’s 4-3. 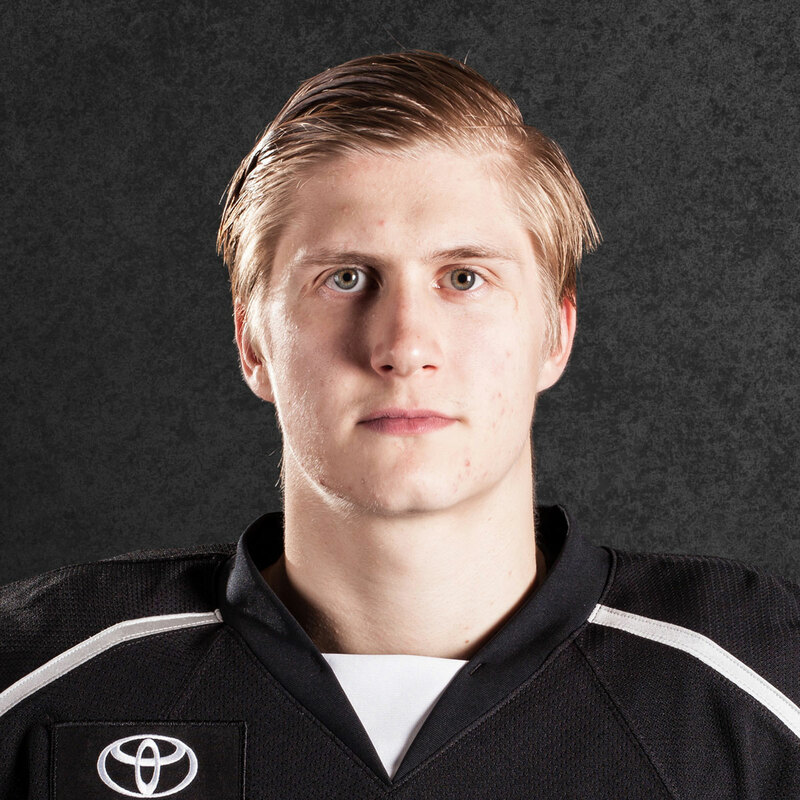 Iowa takes its timeout but, 16 seconds of game time after the Sutter goal, Matt Luff ties the game with a wrist shot from the top of the right-hand circle and it’s a 4-4 game. 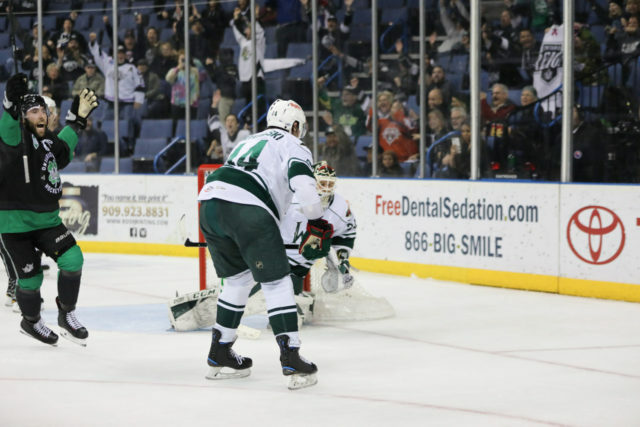 In the span of those three goals, which all came on the power play with the Reign net empty, it felt like the Wild shot for and missed the empty net ten times, coming inches away on certain occasions. But, as fate would have it, the game moved into overtime, where the Reign converted for the fourth time on the same man advantage, this Matt Moulson goal, his team-leading 25th of the season, to put the game away and cap off one of the wildest comebacks I’ve ever seen. Four goals on one power play. Four. 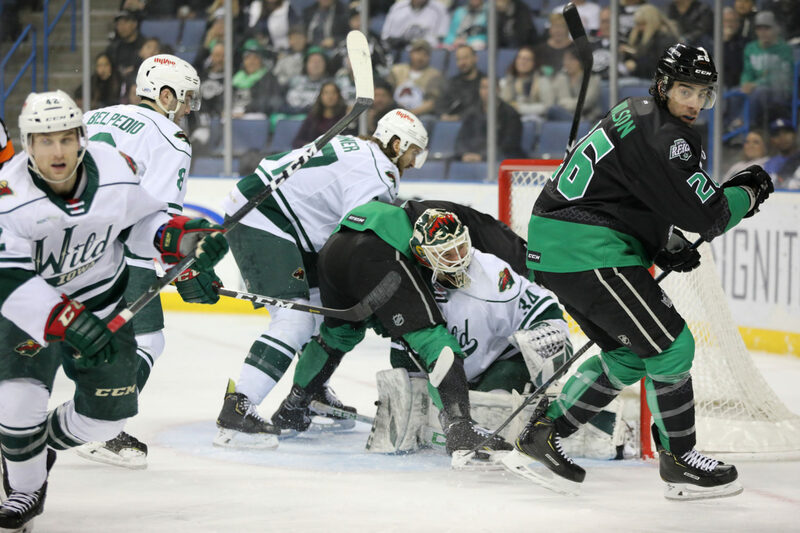 Earlier this season, the Reign overturned a four-goal deficit in the third period against Tucson, to win 7-6 in overtime and that was pretty incredible in itself. But the close proximity of tonight’s goals just made it that much more energetic. The CBBA was as loud in that span as it’s been all season and the Reign get pretty great moment, in a season that hasn’t had a ton of then, as they won games on back-to-back nights for the first time this season. 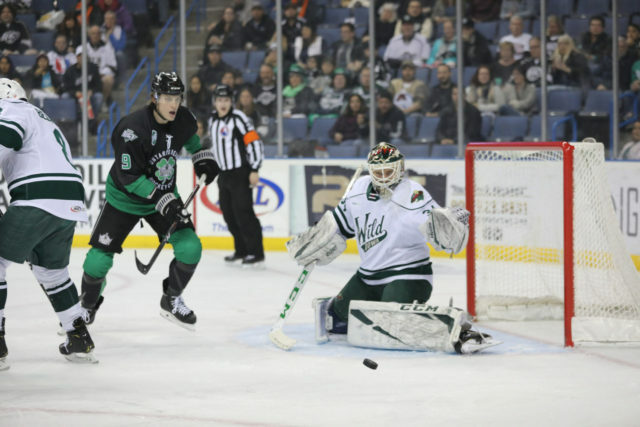 The Reign threw 54 shots on goal, including 27 in the third period alone, which tied a season-high for shots in a single period. In net, goaltender Peter Budaj made 33 saves on 37 shots as he earned the victory, his sixth of the season. 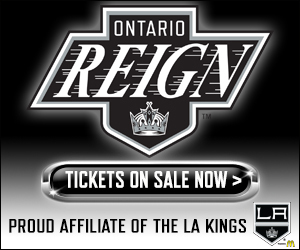 The Reign and Wild will attempt to top this evening’s game tomorrow afternoon, with a 3 PM rematch in Ontario. IT will sure be hard to top tonight’s action, but I’m looking forward to it either way. I don’t think so, we had a good one earlier [against Tucson in November], but we had a little bit more time to work with. This one, we had four on the one power play, I’ve never seen four on a single power play before. That’s what we want to do. They had a cheap hit on our captain, so we’re glad to comeback with a few goals. Yeah, I mean you’ve got to have hope, if you don’t believe in yourself then you’re going to show it on the ice. You’ve got to give these guys a lot of credit, no one gave up when we were down by whatever it was with four minutes left, no one gave up on that bench. We’ve got a great group of forwards and some offensive defensemen and we were able to get it done. Yeah for sure. I think as a team, we’re all just playing better. Being able to get some offense from our third line helps a lot. The guys I’m playing with, they’re all playing better and we’re just all playing better as a unit. I mean, top to bottom, we’re the deepest we’ve been, but on D too, we’ve got guys that are stepping up that haven’t gotten maybe this opportunity earlier in the year so you can’t forget about that, they’re playing solid back there for us, and we always have good goaltending. To be honest with you, no, I don’t think I have. It was 4-1, time was running out for us and it certainly didn’t look promising. In all honestly, we didn’t have a whole lot going on, but then you know, it’s a crazy game. They take a major penalty and all of a sudden, your power play gets a chance to get on the ice. The crazy part is, because they’re killing the penalty, they can ice the puck without any repercussions, we’ve got the goalie out, they tried it a couple times and luckily they missed the net and we were able to capitalize. You know what, I can’t put enough praise on the players and the resolve they have. They never gave up. 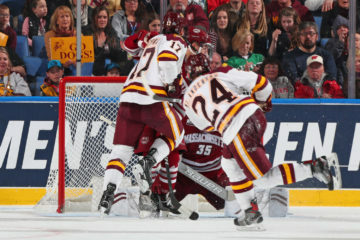 It just seemed when it was a five-minute major going on the board, the energy on the bench was unbelievable, the guys just couldn’t wait to climb over the boards, so good on them. You get your usual veteran guys that come through with some pretty big plays. Luffer made a great pass to Mouly there at the end for the game-winning goal, but accolades through to everybody. I was happy too, Wyszmoirski, got in there right away after the hit on Sutts, by Liambas, he got in there and addressed it the right way without us taking a penalty to nullify their power play. It should make for a great rematch tomorrow. I alluded to it yesterday, but this is where you see what you’ve got in your organization and you’re looking for character right now. It’s been a hard year as far as the win column, right? Now, it’s getting down to that stretch where teams are jockeying for positions in the players, teams are on the outside looking in and right now, we’re a long ways still looking to get in there. We want to see how guys react to adversity, and you can see it through these past two games. There’s a lot of character, there’s a lot of pride and I think that’s a positive for us going forward as an organization. They’re sticking up for each other, we never count ourselves out and they’re still trying to make big plays. We are now playing a way that, whenever a team comes in here, they’re now leaving the building saying “that team plays hard,” and that’s what you want. 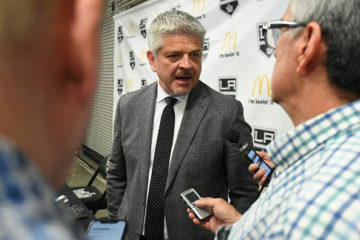 You want them talking about it like “I hate playing against the Reign, it’s a hard team to play against, they never give up.” I think we’ve got some good people and if the fortunes for the organization are going to turn around in a positive way, we’ve got an upcoming future. It was tough for Mitch to get on track [at the start of the season]. I don’t know if it was just coming to a new organization after spending quite a few years in the Minnesota organization. Sometimes, it’s more of an adjustment than you realize. I think now, we’re seeing kind of the player that we anticipated and it’s reflective of that he stuck with it. 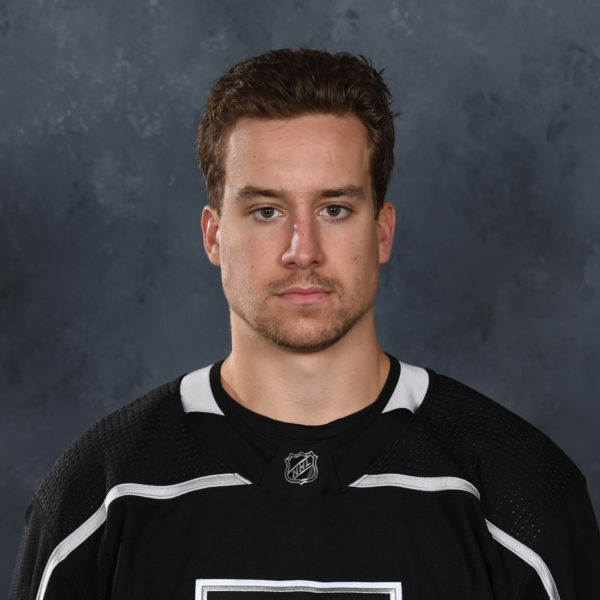 He went through some times when he was a healthy scratch and that’s not an easy thing to do as a coach and it’s not an easy thing to do as a veteran player, but he’s always kept a good attitude. He’s worked hard and he’s worked through it and it’s worth working through the down times, because on the other side, there’s a pot of gold or whatever, but it’s worth it. It’s worth it to go through that adversity, because the other side, that’s what you’re striving for, it makes you a better person.